The LimeNET Base Station integrates a LimeSDR-QPCIe with a powerful 3.5GHz Intel Core i7-6950X host, along with power amplifiers and duplexers, to provide everything you need to set up your own cellular network — all in one compact package. 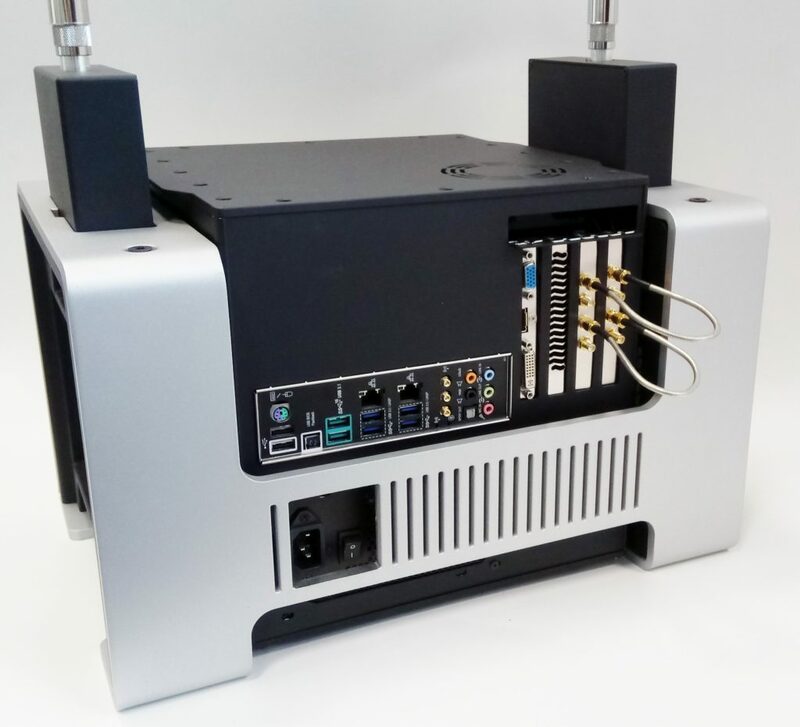 The LimeNET Base Station integrates a LimeSDR-QPCIe with a powerful 3.5 GHz Intel Core i7-6950X host, along with power amplifiers and duplexers, to provide everything you need to set up your own cellular network — all in one compact package. Customers are reminded that any equipment that transmits wireless signals needs to comply with the relevant regulations for that region. This may require that the final equipment is submitted for testing and verification. A high-performance mini PC with an integrated and shielded internal LimeSDR USB micro Type-B, U.FL cables, and antennas. Lime Microsystems fully open source solution for PA linearisation based on adaptive digital pre-distortion (ADPD), delivered as FPGA IP and host software. LimeNET extends the unprecedented flexibility and significant cost benefits of software-defined networking to the radio access network (RAN). Attendees to MWC 2019 will find Lime Microsystems in Hall 7 Stand 7J22, and also as part of the Telecom Infra Project in Hall 2.1 Stand 2.1B27Ex. Free and open source package includes LTE Release 8 support, selected LTE Release 9 features, and full compatibility with Lime Microsystems' LimeSDR family of open software defined radio (SDR) hardware. "We share a software-defined vision with Canonical," explains Lime Micro's Ebrahim Bushehri. "Ubuntu Core, snaps, and IoT app stores create a secure, open-source platform that enables our partners to develop and deploy new disruptive technologies quickly." UK telecommunications regulator aims to make new, simpler, and more affordable licences available by the second half of 2019, pending the outcome of its current consultation. "Cloud computing companies have benefited from collaboration on open source," Rader explains. "Telecoms providers ought to be looking at doing the same in 2019 by making infrastructure work for everyone, improving efficiency and opening up networks for all apps on their infrastructure." With 60 percent of African cellular communication users still on 2G networks, and a projection that just three percent will have upgraded to 5G by 2025, virtualisation is being heralded as the solution to allow for 5G expansion without leaving users behind. "Opportunities for all, regardless of whether an entity is interested in fixed or mobile, 5G, or another technology," says FCC Commissioner Michael O'Rielly of the ruling, which brings additional 5G frequencies within range of LMS7002M-based devices including the LimeSDR and LimeNET families. "The first thing people do when they get online is make voice calls to their families to tell them they’re safe, so when it’s going well you’re the most popular person in the camp, but when the Wi-Fi stops working, you become very unpopular very quickly." Low-cost free and open source design, based on the LMS7002M and the Raspberry Pi Compute Module 3, combines powerful software defined radio (SDR) capabilities with general purpose processing (GPP) for everything from cellular network deployment to amateur radio projects. Lime Microsystems named as a provider of end-to-end technology for the CrowdCell Project effort to produce an open source cellular relay platform using general purpose processors (GPP) and software defined radio (SDR) technologies.